Wendell B. 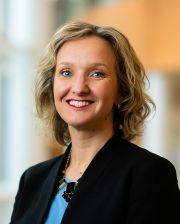 Lake, MD is an assistant professor of neurological surgery and director of adult functional and stereotactic neurological surgery at the University of Wisconsin School of Medicine and Public Health. He completed a fellowship in functional neurosurgery at Vanderbilt University Medical Center in Nashville, TN. His neurosurgical residency was at the University of Wisconsin Hospital and Clinics. Dr. Lake specializes in functional neurosurgery, epilepsy and movement disorders including deep brain stimulation (DBS) and Parkinson’s disease. 25 years of neurostimulation and pump implant and management experience in an academic medical center. Experience includes clinical practice, research, and teaching residents and pain medicine fellows. Neurostimulation experience includes SCS, PNS, & PfNS. IDDS implant and management experience includes noncancer pain, cancer pain, and spasticity (baclofen) management. 15+ years in Neural Engineering, including MSE, PhD, Research Assistant Professor appointment, and Program Director at NIH. 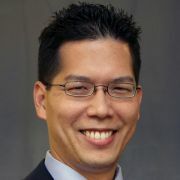 Dr. Brian Lee earned his MD from USC and completed his Ph.D in computational neuroscience at the California Institute of Technology (Caltech). 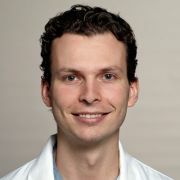 He completed his neurosurgery residency at USC, followed by a fellowship in Stereotactic and Functional Neurosurgery at the University of California, San Francisco (UCSF) with Dr. Philip Starr. He is now faculty at USC where he directs an advanced clinical research program in epilepsy and movement disorders. Dr. Lee specializes in neurophysiological brain recordings using intracranial subdural electrocorticography (ECoG) and stereotactic EEG (stereo-EEG) monitoring techniques. 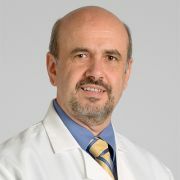 He is an expert in implanting neuromodulation devices for epilepsy including vagus nerve stimulators (VNS), Neuropace Response Neurostimulators (RNS), and deep brain stimulators (DBS). My name is Scott F. Lempka, PhD, and I am a biomedical engineer at the University of Michigan in Ann Arbor, MI. My expertise is in the theoretical and experimental evaluation of neural stimulation and recording technologies. As a biomedical engineer, I have a particular interest in multidisciplinary translational research and direct clinical studies. I have more than a decade of experience in the experimental characterization of the interface between implanted neural stimulation and recording electrodes and the surrounding biological tissue. From this experimental knowledge, I have developed sophisticated computer models of neural stimulation and recording technologies to understand the origin of recorded biopotentials and investigate potential therapeutic mechanisms of neurostimulation therapies. My main research focus is the development of novel neuromodulation technologies for chronic pain management. Michael S. Leong, MD, is a specialist in pain medicine with clinical foci in neuromodulation, spinal analgesics, and advocacy. 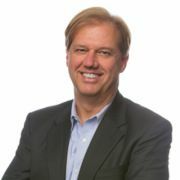 He received his medical degree from Georgetown University in Washington, DC, and completed his residency in anesthesiology at University of California, Davis and at Stanford University, where he also completed his fellowship in pain medicine. 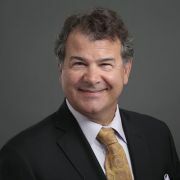 He is board certified by the American Board of Anesthesiology. 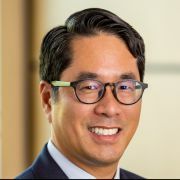 Dr. Leong is the former clinic chief and currently the Director of Neuromodulation and a Clinical Associate Professor of Anesthesiology, Perioperative, and Pain Medicine at Stanford University. Edward A Lewis, M.D.Dr. 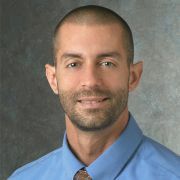 Lewis is a board-certified pain physician and anesthesiologist. He received his medical degree from the University of Texas Medical School at Houston, where he also completed his residency in anesthesiology. He developed a desire to help pain patients early in his career. Over his 28 year career he has served as medical director of several pain clinics and served on hospital boards in Texas and North Carolina. Dr. Lewis brings a wide range of experience with interventional treatment of all forms of acute and chronic pain. He is a member of several professional organizations, including the American Neuromodulation Society and the American Academy of Pain Medicine. Dr. Sean Li is board certified by the American Board of Anesthesiology and is certified by the American Board of Anesthesiology Subspecialty for Pain Medicine. Dr. Li completed his medical school training in New York at The State University of New York at Stony Brook where he graduated with recognition for clinical research. 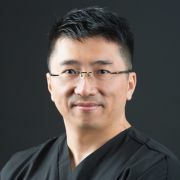 Dr. Li then trained in General Surgery at the Mayo Clinic in Rochester, Minnesota and later finished his residency in Anesthesiology at the University of Michigan. During his residency, Dr. Li was involved with both clinical research and resident education. He was awarded the Resident/Fellow of the Year Award by the American Association of Regional Anesthesia and Pain Medicine in 2011. Dr. Li went on to complete fellowship training in Pain Medicine at Johns Hopkins University. While at Hopkins, he was mentored by leading figures in the field of pain management. Dr. Li specializes in the diagnosis and treatment of patients who suffer from chronic neck and back pain, neuropathic pain (such as post-herpetic neuralgia and complex regional pain syndrome), and cancer pain utilizing both medical and interventional modalities. 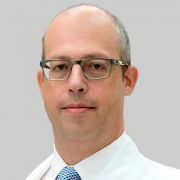 He is a strong proponent of the multidisciplinary pain treatment model and has particular interests in neuromodulation and minimally invasive pain interventions. 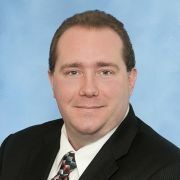 He is a clinical investigator participating in FDA approved clinical trials in pain medicine. Dr. Li has authored peer reviewed papers and book chapters in the field of interventional pain medicine. 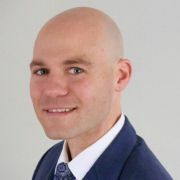 He is a member of the American Society of Anesthesiology (ASA), North American Neuromodulation Society (NANS), International Neuromodulation Society (INS), American Society of Interventional Pain Physicians (ASIPP), and New Jersey Society of Interventional Pain Physicians (NJSIPP). Dr. Li serves on the integrity committee of ASIPP, teaching faculty for the NANS fellow’s course, and as course director for NJSIPP annual meetings. I have 31 years of practicing interventional pain medicine. 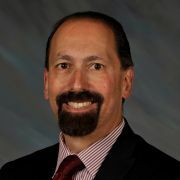 I am a professor of anesthesiology, section chair of pain medicine at Rush University Medical Center and program director of the pain medicine fellowship training program. 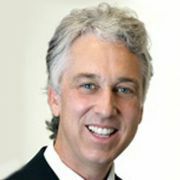 Dr. Mahan specializes in complex peripheral nerve surgery, spine surgery and neurologic reconstruction for diseases such as nerve injury, spasticity, spinal cord injury, pain syndromes and stroke.Dr. Mahan is a neurosurgeon who specializes in peripheral nerve and spinal disorders. He completed his residency at the internationally recognized Barrow Neurologic Institute and did fellowship training at the Mayo Clinic and University of California in San Diego. He is an active researcher in spinal and nerve disorders, publishing scholarly articles routinely and has a laboratory focused on traumatic injuries to peripheral nerves.He is the only neurosurgeon in the Rocky Mountains who performs complex nerve surgery. 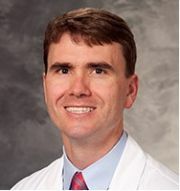 Dr. Mahan treats nerve tumors, whether malignant, benign or related to genetic syndromes such as neurofibromatosis; nerve entrapments, such as carpal tunnel syndrome, cubital tunnel syndrome, thoracic outlet syndrome or patients with prior surgery needing revision; nerve injuries, such as brachial plexus injuries, nerve lacerations or trauma, or iatrogenic (related to other surgery) nerve injuries; nerve pain, such as meralgica paresthetica, occipital neuralgia or other conditions requiring nerve stimulation; functional nerve reconstruction, including for post-stroke spasticity or palsy and dystonia; as well as many other conditions.Dr. Mahan also performs the complete range of spinal surgery, including oncologic, deformity, minimally invasive and spinal trauma. He is one of the few spine surgeons in the United States who performs endoscopic spine surgery. Al Mashal, PhD, is a Principal Biomedical Engineer at Cambridge Consultants, a product development and technology consultancy. 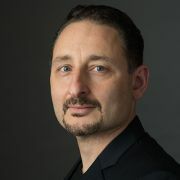 He has over 10 years of experience working on medical devices, particularly in the areas of energy-tissue interaction and neural interfaces. 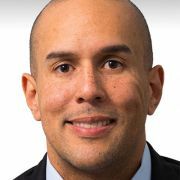 Al holds a PhD in Electrical Engineering with a Minor in Medical Physics from the University of Wisconsin. 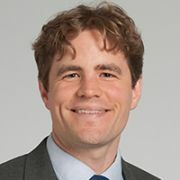 Dr. Mogilner is Associate Professor of Neurosurgery and Anesthesiology at New York University School of Medicine, and the director of the Center for Neuromodulation at NYU Langone Medical Center. He received his BA and MS degrees from Columbia University in computer science, and his M.D. and Ph.D. (neuroscience) degrees at NYU School of Medicine. 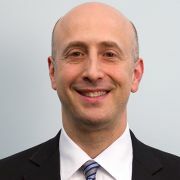 His clinical interests include the use of both neuromodulation as well as lesioning techniques to treat a variety of neurological disorders including movement disorders, chronic pain/headache, and psychiatric disorders. Current active areas of research focus on the role of the subthalamic nucleus in decision-making, as well as the use of functional neuroimaging (fMRI, MEG) to refine target selection for DBS and lesioning procedures. Dr. Mogilner is a past president of the American Association of Neurological Surgeons/Congress of Neurological Surgeons Joint Section on Pain, as well as a past member of the executive board of the North American Neuromodulation Society (NANS). .
Stephanie Neuman, MD, is a fellowship trained pain medicine physician at Gundersen Health System in La Crosse, WI. She has been on staff for 6 years and is currently the Department Chair. Her focus is on interventaionl pain management with a very busy spinal cord stimulator practice. 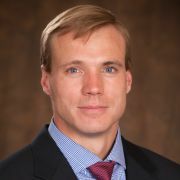 Dr. Einar Ottestad obtained his medical degree from Baylor College of Medicine in Houston, TX. After internship at UT Health Science Center, Tyler, TX, he completed his residency in Anesthesia, followed by a Pain Medicine fellowship, at Stanford. 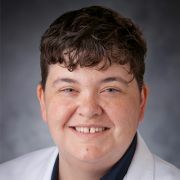 Dr. Ottestad joined Stanford faculty in 2007 and became Director of the Acute Pain Service in 2009. As such, he manages acute, postoperative, and outpatient chronic pain at Stanford University Hospital. 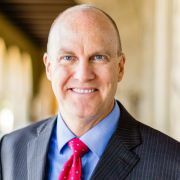 He is committed to the Stanford Pain Center’s multidisciplinary, comprehensive approach when treating clinic patients with chronic pain. Dr. Ottestad possesses expertise in ultrasound-guided procedures in treatment of pain. Ultrasound imaging allows accurate imaging of soft tissues such as muscles, tendons, and nerves that are difficult to identify using only X-ray imaging or anatomic landmarks. This imaging is useful both diagnostically as well as therapeutically when specific, targeted treatment is needed in an area of pain. His practice includes all forms of spinal and peripheral nerve stimulation. 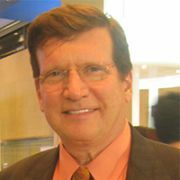 Dr. Ottestad is the president of the World Academy of Pain Medicine Ultrasonography and is a faculty examiner for FIPP (fellow of international pain practice) and CIPS (certified interventional pain sonologist) exams. 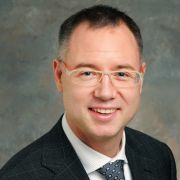 Dr. Panov is a functional neurosurgeon with a postgraduate fellowship in Epilepsy Neurosurgery from University of California, San Francisco, under Dr. Edward Chang, and in Movement Disorders Neurosurgery under Dr. Philip A. Starr and Dr. Paul Larson. Dr. Panov obtained his BS from Schreyer Honors College at Penn State, his MD from the Jefferson Medical College in Philadelphia, and completed his Neurosurgical Residency at the Icahn School of Medicine at Mount Sinai. He is the Director of the Adult Epilepsy Program at Mount Sinai Health. His practice focuses on Epilepsy and Movement Disorders. Dr. Patel practices Interventional and Integrative Pain Medicine at the Spine & Pain Institute of New York and is also the Director of Neurosurgical Pain at Lenox Hill Hospital, located in New York City. Neuromodulation is an integral part of her interventional practice. She has contributed to the education of neuromodulation by participating as faculty for training courses and contributing to neuromodulation textbooks. 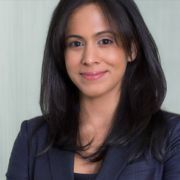 Dr Patel is also a Clinical Assistant Professor in Anesthesiology & Pain Medicine at the Zucker School of Medicine at Hofstra Northwell and is the coordinator for the Anesthesiology Pain Fellowship and Resident pain rotation.Dr. Patel is board certified in Pain Management and Anesthesiology. 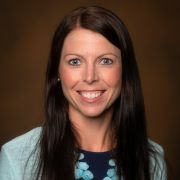 She completed both her Interventional Pain Medicine fellowship and Anesthesiology residency at Columbia University Medical Center-Presbyterian Hospital and her Internal Medicine internship at Yale University. 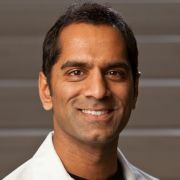 Dr. Parag Patil is currently Associate Professor of Neurosurgery, Neurology, Anesthesiology, and Biomedical Engineering at the University of Michigan. 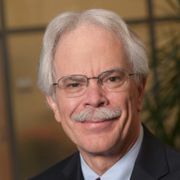 He is Associate Chair for Clinical and Translational Research and Director of the Center for Restorative Neuroengineering. 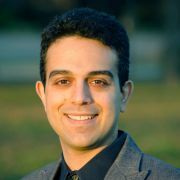 His NIH-funded research applies engineering and imaging techniques to better understand the neurophysiology and clinical efficacy of neuromodulation for movement disorders, depression, and pain. Dr. Patil is a member, ex officio, of the NANS Board and served on the Annual Meeting Committee from 2014 to 2017.